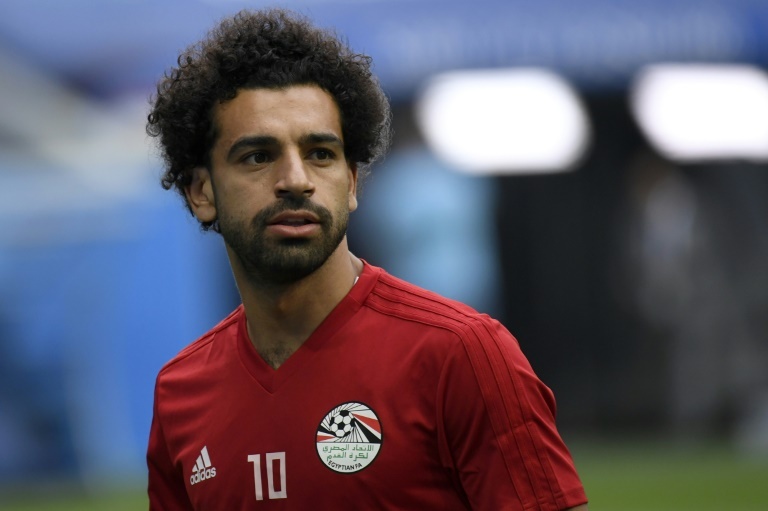 Egyptians are counting on the return of Mohamed Salah on Tuesday as they try to salvage their World Cup against a Russian side who know a win could seal a place in the last 16. Liverpool wizard Salah missed his team’s 1-0 defeat to Uruguay on Friday as he struggles to recover from the shoulder injury he sustained during last month’s Champions League Final. Salah’s shoulder has continued to cause him problems in Russia, and at the weekend he needed the help of three team-mates to put a shirt on during a training session in Grozny. Egypt’s Argentine coach Hector Cuper said on Monday Salah was fit to play but will undergo a test before kick-off in Saint Petersburg. “I hope he will be fit to play, I’m sure he will be able to play. He is a central piece in our team,” Cuper said. If Egypt lose, it will likely end their competitive involvement in their first World Cup since 1990, so 96 million Egyptians are willing him to be on the pitch. Russia coach Stanislav Cherchesov was bullish that his team can rein in the explosive striker, who scored 44 goals in a remarkable debut season at Liverpool. Russia got their World Cup off to the perfect start on Thursday with a 5-0 thrashing of Saudi Arabia, but are under no illusions that the seven-time African champions pose a far tougher test — providing Salah plays. Earlier on Tuesday, Robert Lewandowski and Sadio Mane — Salah’s teammate at Liverpool — face off in a World Cup shootout between two of football’s most lethal forwards as Poland take on Senegal. Eighth-ranked Poland enter their Group H opener at Moscow’s Spartak Stadium as favourites led by Bayern Munich’s Lewandowski, who netted 41 times in all competitions this season. After a disappointing showing at the Euros in France two years ago, the Polish forward said he was entering the tournament in a different frame of mind from 2016. Tuesday’s early game sees Colombia take on Japan in Saransk, four years after pounding the Asians 4-1 at the 2014 World Cup. The South Americans have their own injury concern in the form of Brazil top scorer James Rodriguez, with the Bayern Munich midfielder nursing a calf strain. James, 26, netted six goals and created four assists to help Colombia qualify for Russia. Japan’s build-up to Russia has been tumultuous, after coach Vahid Halilhodzic was sacked in April despite steering the team to the finals. The Japanese players’ preparations have been disrupted by news of the earthquake in Osaka that killed three people. Tuesday’s round of fixtures will mean that all 32 teams in the tournament have now played at least once. On Monday, England made hard work of a 2-1 win over Tunisia in Volgograd, relying on an injury-time Harry Kane header to take the three points. Kane, the captain, put England ahead from close range but Tunisia levelled through a first-half Ferjani Sassi penalty. England wasted a host of chances before Kane found the net with a header in the 91st minute. Third-ranked Belgium waltzed past World Cup newbies Panama 3-0. Dries Mertens opened the scoring with a stunning volley and Romelu Lukaku bagged a second-half brace in Sochi.